Well, Heartdwellers, the enemy may be increasing in numbers and in strength, but the Lord is increasing our equipping to protect ourselves. Amazing. I confess that today I was dealing with irritations in a way that was not becoming of a Bride of Christ. I realized I was whining and complaining. Immediately, I repented and thanked God that I had a floor to sweep, dishes to do, etc. etc. I truly was ashamed of my attitude. I had been talking to one of my prayer partners earlier and she mentioned how important the Armor of God was and that it was a gift we could ask for. I have to confess that I've never taken it very seriously. I always thought it was a good allegory, but not something that you take real seriously. So, this gave me pause for thought. In truth, I didn't feel worthy to even ask. It seems that the requirement may be a heart of love and caring for others, just as His heart is. I will ask Him more about this. But apparently we have to be prepared to receive it. Our hearts must be at least wanting to be right towards Him and others. There seems to be the necessity of a REAL relationship with Him and then asking for the gift. Knowing that I was not worthy, I asked anyway. Then, later that day, I had a communion service and the Lord placed a full set of armor on my body, right after I received communion. I was profoundly humbled. When I came to speak with Him, in our time together, I began, "Thank you for the armor, Lord!! How beautiful. Oh, Jesus, You are so good to me. Forgive me for my ungrateful, surly attitude tonight. I won't make any excuses...how lame would that be?" And then He said, "Oh, no, it wasn't tongue in cheek at all, it came right out of My mouth." You're making me smile, Lord. "It's worth it to Me to make you smile, dear one. Rough day huh? Persevere, it's going to get better." "In every way. The armor will help you, but please, put it on before you pray." I did that tonight before I prayed over our dreams and sleep and a rush of Holy Spirit chills swept through my body. Which was a confirmation to me that, this was real. And He really DID equip me with this armor. He continued, "It will help immensely and make your prayers more effective." Oh, Lord, I really don't want to be a warrior. I want to be a lover. I felt led to look up the Scripture that Paul wrote about the Armor of God. It's in Ephesians 6, starting at verse 10. Finally, be strong in the Lord and in his mighty power. Put on the full armor of God, so that you can take your stand against the devil's schemes. 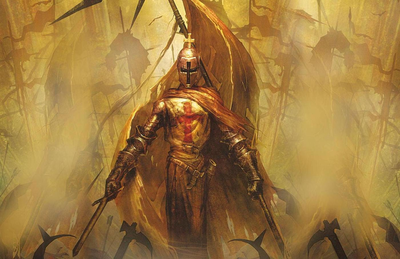 For our struggle is not against flesh and blood, but against the rulers, against the authorities, against the powers of this dark world and against the spiritual forces of evil in the heavenly realms. At that point, the Lord began speaking about the Armor of God. He began with the helmet. "When you are wearing the Helmet of Salvation, you know that you do not belong to the world - you are now a citizen of Heaven. You go into battle as one who is already victorious, because you are reborn and redeemed by a power much higher than the minions of Satan. There is no question about who is going to win; your mind is protected against the wiles of the enemy. You know that I live in you, you know that I have over-come all things. You know that the enemy is on a leash. But the most important knowledge of all is that you belong to Me and I have already won every battle against the darkness. No matter how it looks to you." And then He went on about the Breastplate. "The Breastplate of Righteousness protects that inner place, your heart, where I have taken up residence. Your conscience, if it is clear and clean with Me, has nothing to accuse you. The accuser, as he is called, cannot cause you to become faint of heart. "It is in matters of the heart that man is weakened...the sucker punch. The place of the soul, where it abides, as in the bowels of mercy. These organs affect your emotions and if they are vulnerable you will collapse in battle. "That is why it is SO important to examine your conscience, confess your sins and repent before going into battle. When you have done this properly, you know you are right with Me, nothing can stop you. No lie, accusation, bluff, psychological weapon can penetrate those tender areas and cause you to curl up in a ball and retreat. "All your limbs rely on the proper functioning of your internal organs. When they are not in shape, the rest of the body is weak and vulnerable, unable to stand up against powerful onslaughts. And so the breastplate of being right with God is your protection that the whole system is able to operate at an optimum level. You have been washed clean in My Blood and are now wearing My Righteousness. "It also protects your relationship with Me. No one can steal Me out of your heart." But, Lord, how is it possible for anyone to steal You out of their heart? "So, you continue the sin and pretty soon you are walking in sin and have turned your back on Me. Then you become lukewarm and your relationship with Me is lackluster, sick and dying. There is a coldness, where there was once joy. This can and does go on for years in some souls. The desire to be 'righteous' that is 'right with Me' keeps you from sinning more. When you fall, you come and repent and I restore you and lift you back up." At this point, I looked up the Belt of Truth and I found out that it carries the scabbard for the sword, so I can see how it relates to the armor. What else does it signify, Lord? He continued, "Action proceeds from the loins, but before you can move forward you must be in a state of readiness. 'Girding up your loins' was a way to tuck your garment out of the way so you wouldn't trip over it. But more importantly, the Belt of Truth, has the function to carry the Sword of Truth. And without truth, you will not win the ultimate battle. If truth is not on your side, no matter how ready you think you are, you are only a reed swaying in the wind. "The Sword of the Spirit. Literally, My words written through the apostles and prophets enables you to defeat error with My very words. There is no question of what is right and what is wrong; it is given you in My Word. You are able to divide truth from error down to the very marrow of a bone with the help of My Spirit. There are so many levels of truth that abundantly illustrate right from wrong. Truth is always weighed and examined through the Scriptures, but your heart must be right with Me and guided by My Spirit or you will concoct your own truth, apart from Me. It will look and sound good to man, but be full of error. "The Shield of Faith carries the emblem of the finished work of the Cross, where all your graces come forth. It is what you defend yourself with. Your faith in your citizenship and who your Sovereign is, that you are commissioned and in good standing, that all your actions proceed from truth and charity. That your feet carry the message of peace, forgiveness and good will for all men. All must be defended by faith that each item is real and true - so true, you are willing to die for it, just as I did. With the Shield of Faith you are protected from the fiery darts of the enemy, who desires to cut you off from Me and isolate you. He uses underhanded tactics, lies, half-truths - twisting and manipulating you until you fall for his lies. "The knowledge of your salvation is protected by the Helmet, your heart is right with Me - the Breastplate, you are sworn to truth above all opinions - belt and scabbard - and your path is one of peace and brotherly love Sandals. If your feet are not properly shod, you will do more harm than good with the sword. The order in which you put these things on has significance. "The sword is the last thing you take up for defeating the wiles of the enemy and every false notion that raises itself up to steal your Heavenly citizenship." Jesus continue, "When you speak My words, you are speaking as one who is creating or bringing into being, even as I spoke the world into existence. Therefore, your mighty weapon penetrates weapons of the air and dismantles what has been constructed by the demons and renders it powerless against you." "You can just imagine what Paul was up against." the Lord continued. "Here is a man zealous to defend the truth, so much so that he gladly had people put to death for what he perceived to be error. Once he knew the truth, he became an enemy of the establishment. The truth in him had to be so solid that he would give his very life for it. Further, he had the unenviable job of refuting the teachings of the Pharisees and pulling down the religious norms of the Romans. He was an enemy of the State and an enemy of the Jewish tradition and at first glance...of the law of Moses. "So, he was one man with Me against the world. You'd better believe he knew how to arm and prepare himself for confrontations and debates with the establishment. Yet filled with the Spirit, (I thank God that I speak in tongues more than all of you. I Corinthians 14:18) and ready to come before all civil authorities with the knowledge that the answers would be given him when they were needed." Jesus continued, "He was more prepared for spiritual battle than a Roman Centurion was for physical combat. The temptations that he got in the spirit, and the attacks from the dark side in the spirit were far more severe than anything bodily that he suffered. So, he left these instructions behind for you. A man seasoned in battle has left you the very same weapons he used to spread the Gospel and spread it. "So, go, My dear ones. Live by them and you, too, will find yourself defeating every foe and standing upright till the very day I come for you. Fully equipped, fully alive, fully prepared for the onslaught of lying demons, who by your hand will be brought to nothing but the disrepute they fully deserve. "I am with you. Go forward in confidence, wearing this armor, defending the truth that you live by.